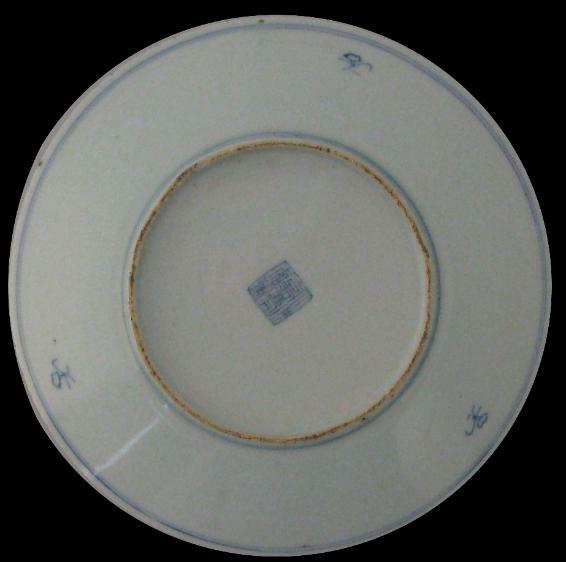 Both these plates decorated with a sweet pea motif in cobalt enamel are of similar size, although the rim of one is noticeably steeper than the other. 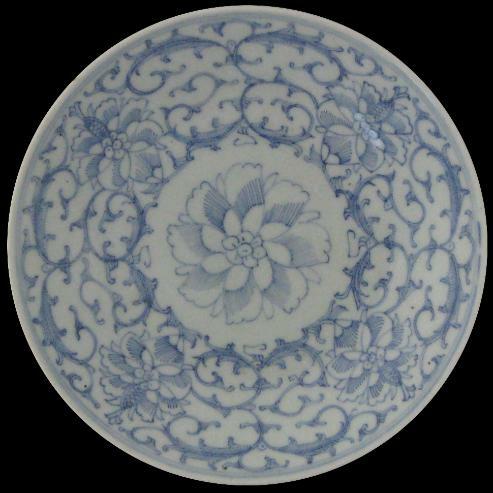 Blue and white porcelain of this type was exported to Southeast Asia from China in the late 19th and early twentieth centuries, although these two examples having been acquired in Singapore during the 1970s together with a quantity of nonyware suggest almost certainly that they came from a local Straits Chinese family. 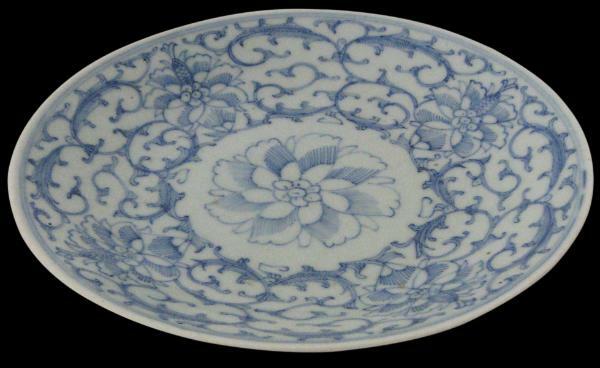 Highly durable, blue and white dishes was used on a daily basis in the Straits Chinese kitchen for both dining and for making offerings on the household altar, on account of the blue and white colouring being associated with mourning. The designs drawn on these two examples are particularly neat and without any shading. 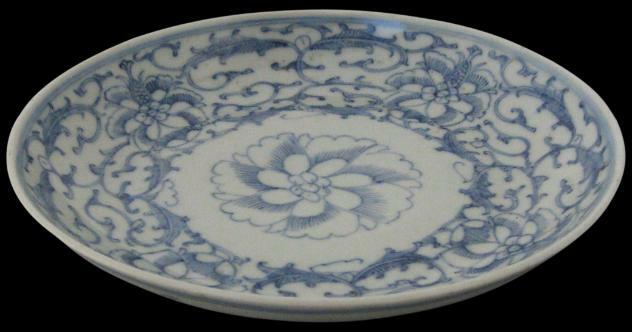 As as such, they are finer examples of ‘kitchen Qing’ than normally encountered. peranakan homes during the late nineteenth century. Both are in excellent condition and are without any chips, cracks or restorations. 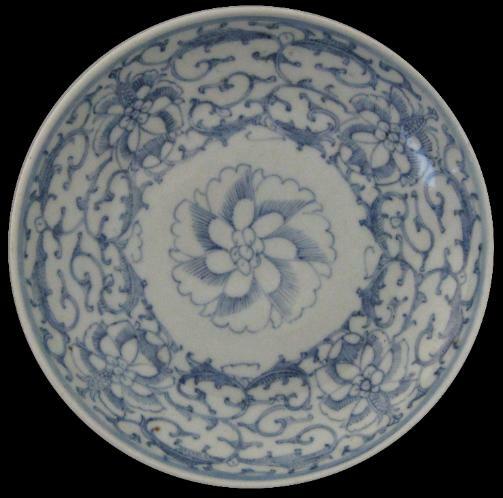 The Southeast Asian Ceramics Society – West Malaysia Chapter, Nonya Ware and Kitchen Ch’ing, Oxford University Press, 1981; Ho, W.M., Straits Chinese Porcelain: A Collector’s Guide, Times Books International, 1983; and Peranakan Museum Guide A-Z, Asian Civilisations Museum Singapore, 2008. 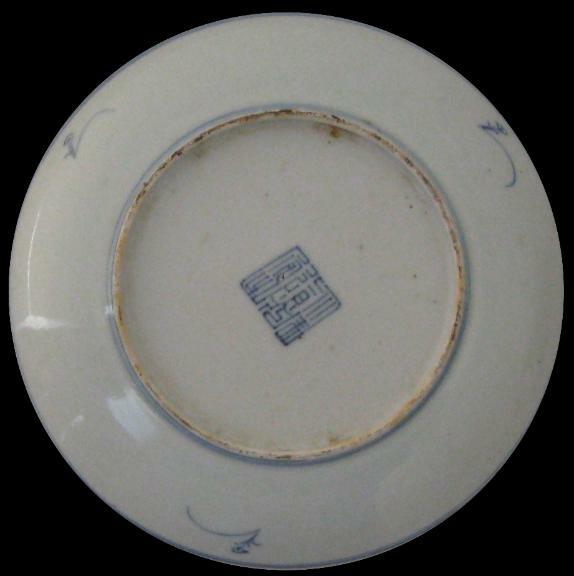 Baba/Nonya or Straits Chinese items.